The article was shared on a forum in facebook by a doctor who appeared for step 1 USMLE. We liked the tips and shared it in our website for interested readers. Here is what it says. 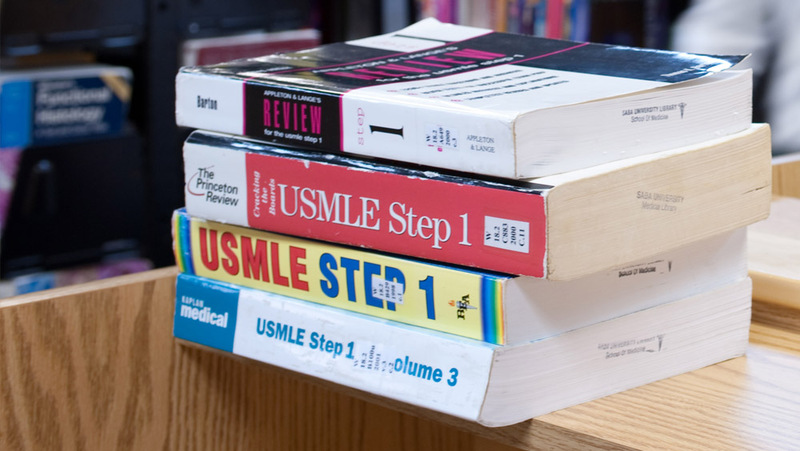 Syed Faiz Abbas, a medical student has shared his experience through a 260+ score in step 1 USMLE and on how he achieved it. 1)UWorld – I felt it was the the most important resource because it educates us and trains us simultaneously. All content on UW must be thoroughly understood. It is the key to FA. Reading FA without UW is nearly not as helpful as the combination. Please start UW in TUTOR UNTIMED mode, do timed or random only after one complete round. 2)First Aid – It’s everybody’s best friend. Take sometime to get familiar with studying from it since it is indeed very fact dense. I’d recommend using it from the start of medical school. 3)Kaplan – I used 2016 lecture notes along with the 2014 videos (which are very much improved from the on demand 2010 lectures). It is the foundation for getting higher scores. How well we do it the first time goes a long way in integrating different subjects together. I did not use Kaplan for pathology and covered only few topics of Behavioral sciences from it only because I felt it was too lengthy, but I’m sure had I covered it, it’d have helped. 4) Pathoma – It’s a must use resource because it helps you establish various paradigms easily which can be applied to a broad number of questions. Pathology is fairly simplified this way. 6) Anki – must use flashcard app( coz it’s free and convenient)…I recommend making your own flashcards, since you’d know what you want to remember. Use this and you’d literally forget to forget. I used simple statement types and image occlusion cards frequently. 7) BRS physiology – It’s an add on resource. The questions at the end of the book test quite a lot of high yield concepts and that’s all I was recommended to do. Although I did go through a few systems just out of interest. Try the graphical questions of CVS and respiratory system from it. 8) 100 cases of ethics – It’s a two day book. Must go through all the text and questions with full understanding and that’s enough. 9) DIT videos – I used very few videos…Behavioural science and Musculoskeletal and skin. They are helpful in summarizing the important points but cannot be substitute any other resource. 10) FA Q&A – one can go through the questions while studying systems. Disclaimer: My preparation time and method was not fixed or pre decided. I had to stay on the learning curve of understanding the best way to prepare by various sources. Therefore I recommend the story be treated as an anecdote and not a guiding resource. I was in my 3rd year when I started preparing for USMLE. Out of the three Ps, two Ps pharma and pathology were fresh and in hindsight that might’ve helped a lot. My preparation started sometime in April-May with physiology as it was my favorite subject. I was able to go through all of Kaplan lectures and notes in a month. During that period I studied little pathology or any other subject (except sometimes for medical school tests). The amount of time allocated for my preparation was very variable from 0-5 hours. I subsequently planned to give my exam in November and made a schedule to match it. I began in May-June with studying pathology and pharma systems wise and tried annotating FA simultaneously with mixed success. By the start of August I was falling a little behind schedule. Feeling the need to start with General principles as well, I decided to start biochemistry. Also, it had been two years since I last studied it, and of course I felt it needed memorisation. Dr Turco’s 2014 Kaplan videos are amazing and really got me back on track. I kept doing systems simultaneously albeit with a slower pace. After completing biochemistry, I started with Microbiology. I went through Kaplan 2014 videos and annotated FA without referring to the notes which saved some more time. In September it was high time I started practicing questions. I do not clearly remember finishing off all systems since there were many parts I had skipped or just sped through.Due to the paucity of time I went through some of the topics with DIT videos+FA. It certainly bought me time to practice questions since DIT videos are short and almost same as FA. By late September I started doing UW offline one or two blocks each day along with studying and annotating FA. I was able to get more or less 70% of the questions correct. By this time I had started devoting in excess of 8 hours everyday to get through with maximum number of questions. By first week of October, I had covered only about one third of UW. I was lucky enough to be advised by my senior to delay my exam maybe to Dec or even get an extension for March since this preparation was just not enough for a November date. I immediately bought online UW and started doing blocks consistently and religiously. I did not waste even a single hour while awake because this was the only way to get to my target. Yet I could only manage 2 blocks each day (it’s very important to note down new stuff in a notebook and annotate FA with UW). But since I was scoring 80% on most blocks I felt fairly confident. I had calculated that at this rate I would easily finish UW twice by mid December. I decided to give UWSA 1 after one round of UW. I scored 265 and felt very comfortable. After further revision I went for NBME 17 on 1st December (keeping NBME 18 for a week before). NBME 17 turned out to be a shock. I scored 228. It was a major setback which made me second guess everything I’d done till then. With a lot of help from friends, family and my senior, I picked myself and kept preparing with the thought of an extension at the back of my mind. I’d set myself a target of above 235 on NBME 18, which I’d decided to take on 10 Dec. In between I gave UWSA 2 and scored 256. It was still baffling why I flipped NBME 17.I kept going through my weaker topics over the week and simulated all day tests by combining offline NBMEs and UW blocks. On Dec 10 I finally gave NBME 18.I scored 242. This was the turning point. I immediately got on to Prometric and locked my appointment date 20th Dec. The last ten days, I kept solving offline NBMEs which was important for me to keep gaining confidence. 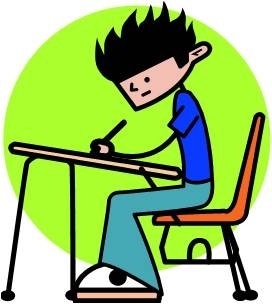 I recommend doing full day simulations everyday so that getting tired is off the table in exam day. I kept going through FA and by now had managed reading most topics thrice or more (and some only twice, but these ones were those I was comfortable with). I managed scoring about 180/200 in almost all the offline NBMEs which translates to a score of 250 (multiply by 1.39). Before “nervously confident” would be the word to describe how I felt. I packed in some cereal bars (they are a life saver). I am a coffee person so I kept sipping coffee to my centre and through all the breaks. Do remember to have a energy source(cereal bars, nuts) , some stimulant – coffee, tea, red bull or whatever, and something salty-spicy for the exam day. I patiently waited for my exam result for 4 weeks. But soon I realized that people who gave the exam around the same time had got their results. I called ecfmg and found out that my student verification request had been sent to my medical school and they had not yet responded. I had to complete the process of verification and send the form back to get my results about 3 weeks later than I’d expected.